Four and Five Star Algarve Hotels - Book direct - save time and money! These web sites all have a safe and easy direct booking system, offering security, convenience and the best possible price for your hotel accommodation in The Algarve. The Algarve has wide range of hotels for your holiday. The choice of picking the right hotel for you is never easy, so at Visitar Algarve we recommend the best hotels based on quality and their location so that you can make the most out of your holiday or business trip. Check here to see the list of hotels we suggest to you, at unbeatable rates. Quality Algarve Hotels & Resorts we know and recommend. The Grande Real Santa Eulália Resort & Spa is an exclusive 5 star hotel by the beach on the South of Portugal, the Algarve. The hotel combines the fabulous SPA experience to provide you with the extra touch of relaxation on your holiday. The 5-star luxurious hotel Pestana Alvor Praia Beach & Golf Hotel is close to the lovely fishing village of Alvor in the romantic Algarve coast. This beautiful hotel overlooks the beach and near two golf courses. A perfect getaway! Offering the peaceful surroundings of exquisite gardens, lakes and golf fairways, 5-star Pestana Vila Sol Golf & Resort Hotel boasts a fabulous location a short drive from the lovely beaches and animated resort of Vilamoura. Exclusive accommodation includes a choice of garden suites only a few steps from the golf greens... ideal for your dream golfing holiday! Enjoy luxury and elegance at the Tivoli Victoria, a 5-star hotel in Vilamoura, on the Algarve. Vilamoura is a chic leisure community with restaurants, bars, a marina, casinos and everything for a fun-filled holiday. The Tivoli Victoria offers modern, elegant accommodation and facilities in a great location. Discover your place in the sun at the 5-star Pine Cliffs Hotel. Stroll through the spacious grounds of the resort, dine at the beautiful restaurants, treat yourself to a massage or cool off in the swimming pools. Explore the attractions in nearby Albufeira and Vilamoura or simply spend lazy days at the beach… come experience this luxurious resort for yourself! Overlooking the Atlantic Ocean, a white sandy beach and the golden cliffs so characteristic of the Algarve, is the five-star São Rafael Atlantic Hotel. With a contemporary design, a magnificent Spa, a modern Congress Centre, ultimate comfort and great amenities, this is the ideal hotel for your holiday. An elegant 5 star hotel in Algarve. The São Rafael will fascinate you. A convenient location, excellent service and wonderful facilities. Let the Algarve sun in the nearby, secluded beach help you unwind. Located in an elegant and chic location, the Tivoli Marina Vilamoura enjoys the Marina atmosphere and the privacy of a select beach. The hotel also offers a state-of-the-art Spa and the expected 5-star service of the prestigious Tivoli group. The view of the marina and the Formosa Estuary Natural Park reveals how special the location of the brand new premium Real Marina Residence is. In minutes the charming boat service brings you to the estuary’s barrier islands and here you’ll enjoy some of the finest beaches in Europe. Combine luxury and convenience for a dream beach holiday. The brand new five star Real Marina Hotel and Spa enjoys a privileged location overlooking Olhão’s leisure marina and the scenic wonder of the Formosa Estuary Natural Park. From here you’re a short boat ride away from some of the Algarve’s most beautiful and unspoilt beaches. Your perfect beach holiday begins here. Facing Martinhal Bay in Sagres, the 5-star Martinhal Beach Resort & Hotel is possibly the most luxurious holiday accommodation you and your family will ever experience. A marvellous hotel, village houses and luxury villas, along with a world of fantastic amenities will be enough to leave you in the perfect holiday daze. The 4 Star Dom Pedro Golf Hotel represents some of the very finest hotel accommodation in the Algarve. Located close to some superb Championship Golf Courses yet within easy reach of the stunning Algarve coast, this is the perfect base for your golfing holiday. Set close to the famous Vilamoura Marina, the Dom Pedro Marina Hotel is a comfortable and spacious 4 Star hotel. The superb beaches of the Algarve coast are nearby with large towns for superb nightlife and charming villages to visit by day. The 4 Star Dom Pedro Portobelo Hotel in Vilamoura, the Algarve consists of light and modern Studios and One Bedroom Suites. Situated near Vilamoura Marina and located centrally on the Algarve coast, the hotel is in a great position to explore this lovely area. The Pestana Delfim Beach & Golf Hotel is a 4-star hotel located three minutes away from the beach! A comfortable family hotel with excellent facilities and service in which to enjoy a relaxing holiday. The Pestana Dom João II Villas & Beach Resort is an excellent 4-star hotel located just a short drive from picturesque Alvor, one of the traditional fishing villages on the Algarve coast. The hotel also offers you access to a lovely sandy beach; a great hotel for your vacation. The Pestana Viking Beach & Spa Resort four-star hotel is located on top of one of the most beautiful and secluded Algarve beaches, the Praia da Senhora da Rocha. With direct access to the golden sand below, this hotel offers comfortable rooms with large balconies overlooking the sea; an ideal location for your holiday. Strolling along the 8 km long golden beach, sunbathing in the garden at the edge of the outdoor swimming pool, relaxing in the indoor pool, working out at the health centre, being spoilt in the spa, playing some tennis, feasting at the restaurants or just enjoying the comfort of your room, you’ll love every moment at the 4 star Porto Bay Falésia. For a holiday trip filled with true relaxation, prestigious services and beautiful scenery, the Quinta da Encosta Velha Golf & Leisure Village is an excellent choice for travelling families and friends. Located in the Western Algarve Region near the village of Budens, this Vigia Group luxury resort provides guests with a holiday experience like no other. The Quinta da Floresta Golf and Leisure Resort is a true world of luxury, charm and serenity. Located in the Western Algarve region, this resort is sure to be the holiday you have always dreamt of. With an amazing golf course, glamorous swimming pools and fabulous dining areas, the Parque da Floresta Golf and Leisure Resort is the perfect sunny destination for your holiday. The Real Bellavista Hotel & Spa is in a quiet area in the Algarve, known as the Albufeira. This luxurious 4 star hotel maintains an excellent service and careful attention to detail. A family hotel that will please you whether if you are looking for relaxation or for a more active holiday. The View - Salema Beach resort is one of the Santo António Villas, Golf & Spa Groups’ most unique and prestigious luxury destinations. With glamorous beach village accommodations, a soothing heated swimming pool and a range of fabulous amenities carefully prepared for its guests, you can be sure that this holiday trip will certainly be an unforgettable one. The full facility four-star Tivoli Carvoeiro has a spectacular cliff top setting above a secluded beach. It can be enjoyed as a beach resort, a conference venue and as a golfing destination. Four swimming pools, a full entertainment programme and many more facilities, make the marina side four star Tivoli Lagos an ideal family destination, and guests can also use the spectacular facilities of the hotel’s Duna Beach Club. The four-star Tivoli Marina Portimão is a holiday resort with something for the whole family, including 4 swimming pools and is also ideally located to explore the neighbouring beaches. 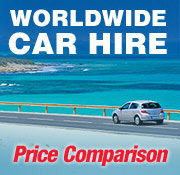 'Visitar Algarve' is the easiest way to research, reserve and pay for your Algarve stay online... at unbeatable prices! Within our site you will find a wealth of excellent Algarve hotels and resorts, self catering apartments, car hire, special offers and information for group holidays, plus many other exceptional services that we have negotiated for you at extra special prices. 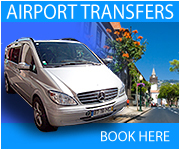 Visitar Algarve gives you real value for money and the security of a carefree holiday. Reservation online is simple and secure!